The guidelines also included great suggestions about how to optimize text for search engines, but the ones listed above are rather–how shall I say this?–“basic.” I don’t really blame them for writing such obvious recommendations. They are clearly getting a lot of poor-quality material. I also receive a lot of error-ridden documents, so I know exactly what they are talking about. But have we really reached rock bottom? Do we really need to tell folks to run a spell-check or use proper grammar? Apparently so. We don’t have to go far to see how bad this problem is becoming. For example, Mitt Romney’s campaign has recently been plagued by repeated spelling mistakes, even spelling ‘America’ incorrectly. You don’t get much higher exposure than that. Doing a quick search on “marketing spelling and grammar errors” brings up a lot of advice similar to Microsoft’s, including a post from marketing company Hubspot, entitled “Why Spelling and Grammar Matter in Marketing.” What’s particularly funny about this one is found in the article’s comments; one points out several grammatical errors in the post itself. Another one, which laments the relaxation of spelling standards, contains the following sentence: “I once worked for an environmental consulting firm that published a print brochure concerning its sciencetits (sic) in the field.” I am not sure if this last comment was intended as a joke, but I doubt it. Once upon a time, it was a grave sin to submit poorly written material at school, at work, and most certainly for public consumption. Not so today. I believe that the explosive use of email and text messaging are largely responsible for the vastly-reduced quality standards. I mean, who would send out a printed letter with spelling errors? On the other hand, spelling errors in email messages are not seen as a major gaffe. Maybe it’s the fact that we send out so much email, that investing effort in crafting well-structured sentences is a seen as a waste of time. And now there is text messaging and Twitter. These products’ limitation on message length has spurned a whole new language of shortened spellings and abbreviations. A site called Webopedia has a text messaging dictionary with over 1300 entries, including such ‘words’ like CUL8TR, UNBLEFBLE, and WOMBAT (‘waste of money, brains, and time’). Paradoxically, some researchers claim that text messaging may even improve spelling. A widely-cited study published in the British Journal of Psychology boldly claims that it found “support for the belief that textism use may have a positive effect on standard spelling ability in a school-age population and it fails to find evidence for the detrimental effects.” Apparently, most folks didn’t read to the end of the paper (another malady of the age of information overload), because the article concludes that “the relationship between textism use and spelling ability just failed to reach statistical significance,” which basically means no relationship was proven by the study. 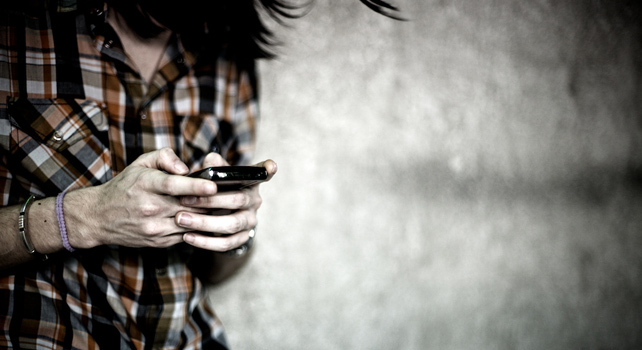 Another study, this one done by the Pew Internet and American Life Project, looks at teen usage of text messaging and how it affects their formal school writing. The study found that “nearly two-thirds of teens admit to using some form of informal text in their school writing: half use non-standard punctuation and capitalization, four in ten have used text shortcuts (such as “LOL”), and one quarter have used emoticons. 1. Slow down. Read over what you wrote more than once before submitting it for publication. 2. Get feedback early. No matter how good a writer you are, have someone else read it over. Ask them to tell you what they understood from reading the piece. Make sure your that message was clearly understood. 3. If it is something really important, don’t submit a written document immediately upon completion. Let the piece sit for a while. Come back to it after a few hours and read it again. Do you still think it is as good as you did before? A bit of reflection goes a long way in creating good text. 4. Use tech to your advantage. It should go without saying, but make sure you run the text through a ‘spel chekr’ before submitting. By the way, if you found any spelling or grammar errors in this piece, let me know. The only way we can improve is to look at ourselves in the mirror. Email me at dlavenda1@hotmail.com or tweet me at @dlavenda.